The following is a guest post by Anthony Goff, a financial advisor with a degree in Mathematics and also the founder of Personal Finance Hub. If you’d like to submit a guest post to Money Q&A, check out our guest posting guidelines. Saving isn’t necessarily the easiest thing to do. As soon as you get your paycheck or money from a friend, the first thing you’re going to think about is spending it as soon as possible. However, what if we told you to start saving that money? I know, we sound crazy. But, if you start saving early in life, it can seriously help your financial stability. Below, are the top five reasons why you should start saving early on and the endless benefits that can follow. When trying to save, the first thing you should consider is to cut on the large expenses. Create a budget and limit your spending as much as you can. Reducing your spending and optimizing your savings can generally help you to save more. The sooner you commit to getting serious about saving, the sooner you can develop a budget to solidify a healthy financial status. 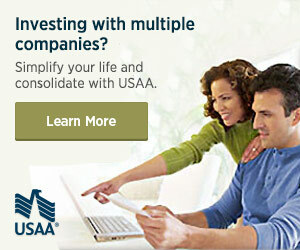 Fortunately, there usually isn’t a whole lot you need to cut out to satisfy your savings account. You never know what’s going to happen a day, week, or month from now. This is why it pays off to be well prepared. An early savings plan can help you along the way, with mid-life crises and emergencies. People without emergency savings accounts are forced to borrow money from family members or take out loans to pay for their emergencies. Setting money aside for these unexpected events in your life can better your personal finances overall. However, it’s important to remember that being prepared for the future doesn’t mean just having a savings account, it also means protecting yourself and your family with life insurance, disability insurance, and other precautions. Your savings account should have some sort of interest percentage on it that can compound the money you put into it. This is called compounding interest. Sooner than later, you’ll notice that your money is increasing more and more the longer you have it in your savings account. This can also help prevent yourself from spending money in your savings, with the hopes of the continuation of compounding your interest. The sooner you start depositing money in your bank account, the more interest will build and the sooner you can start reaching your financial goals. By starting your savings account as early as possible, you can ensure that you have the money you need for the things you want later in life. The savings account you begin in your twenties could translate to a down payment on a house, a brand-new car, your own small business, or your child’s college fund. Many of the things that people want later in life cost a lot of money. In order to be prepared for those purchases or any others you may want to make, you should begin saving now. If you do, you will have more freedom to do the things you want to later on in your life. Most young people do not think about their retirement, never mind begin to save for it. However, the younger you begin saving for retirement, the better off you will be. When calculating your intended retirement goal, there are many factors to consider including your current salary, expenses, inflation, cost of living increase, and so much more. Plus, people are living a lot longer than ever before. You want to ensure that your retirement fund lasts you and your family until the end of your life. If you start saving early on, you have a better chance of saving enough money to maintain your lifestyle even after you stop working. There are so many reasons to start saving in your twenties, from preparing for an emergency or your retirement. No matter what your financial or life goals may be, the earlier you start saving, the better off you will be later on in life. Hopefully, these five reasons will compel you to open a savings account and get serious about saving today.